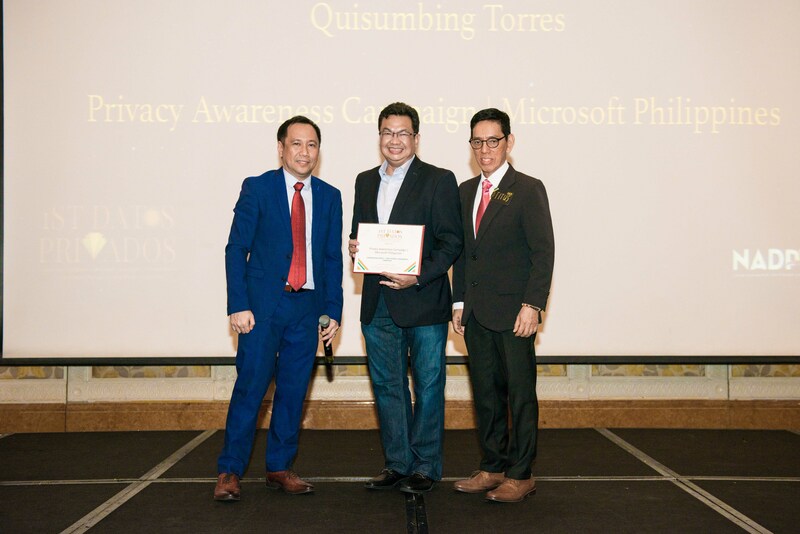 In recognition of its efforts to strengthen the data privacy sector in the country, the National Association of Data Protection Officers of the Philippines (NADPOP) conferred Microsoft Philippines with 4 major awards in the first Datos Privados Awards gala night held recently at Shangri-la in Makati City. Microsoft PH bagged three silver awards for their Data Privacy Officers (DPO) Summit under the Data Privacy Event category, the Compliance Manager and Service Trust Portal tool under the Data Privacy Management, and the Microsoft Privacy Awareness Campaign under the Data Privacy Awareness Campaign category. Microsoft’s Legal Corporate Affairs Director Atty. Raul Cortez also received a bronze award under the Five Pillars for Corporate Governance in the individual category for his work in leading the tech giant’s security, privacy, and trust initiatives. 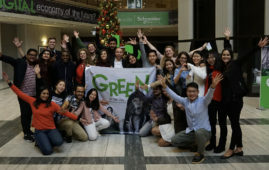 Launched in 2018, Microsoft’s DPO Summit successfully gathered over 250 local data officers and professionals from the public and private sector. The summit discussed the industry’s best practices in compliance with the Data Privacy Act (DPA) and the General Data Protection Regulation (GDPR) and building a privacy-conscious culture among employees. At the same time, the company launched its Compliance Manager tool and Service Trust Portal, which aims to guide customers on their data privacy compliance journey. Microsoft also drove an end-to-end Privacy Awareness Campaign through a series of digital and press event initiatives to amplify the company’s business solutions in helping organizations comply with the DPA and GDPR. 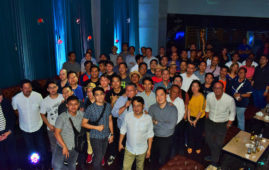 Cortez has been leading Microsoft Philippines’ legal department for almost eight years, encouraging its employees to enforce and practice the company’s value of security and privacy. He has been at the forefront of national conversations on trust and privacy as he represents Microsoft Philippines on privacy and security-related events in various sectors. The Datos Privados Awards is the first data privacy awards in the Philippines, launched by the National Association of Data Protection Officers of the Philippines to give recognition to champions of data privacy in the country. It aims to further strengthen the country’s data ecosystem and empower various industries after the Data Privacy Act (DPA) was signed into law in 2012. 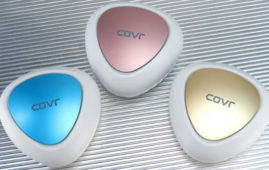 SKYBIZ, the business solutions arm of. Now in its 9th year, Go. FortiClient receives third-straight recommended rating in. 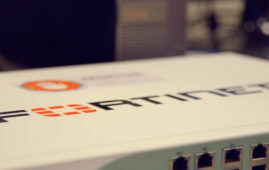 D-Link International Pte. Ltd., the leading.